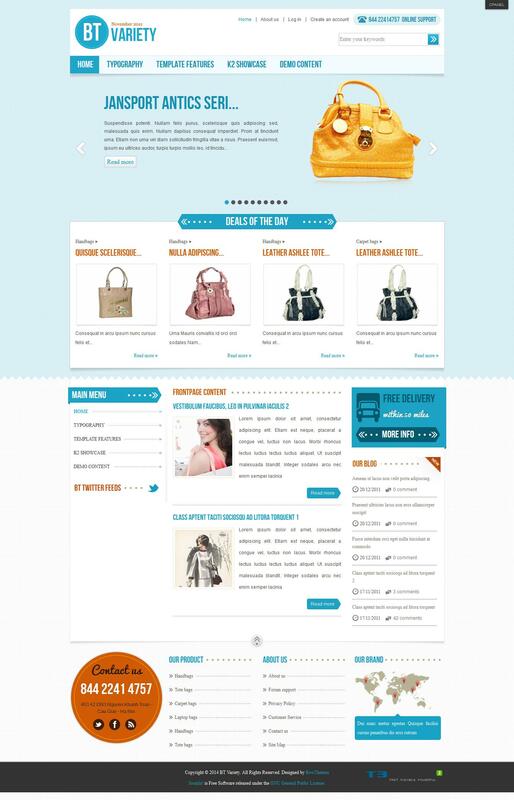 Bowtheme decided not to rest on our laurels and developed another "store" template - BT Variety - based K2 STORE. Five Ways customization (themes) and allow easy editing manager to customize the appearance at its discretion, to make it high quality and suitable for the demonstration users. As in the previous templates, supported your own photos as a background. T3 Framework 2 makes it possible to see your website on any mobile device or tablet, download site and its content more quickly, in general, serve as a platform for the template. Four varieties of menus, support for popular fonts, and it's not all the pros and BT Variety T3 Framework!